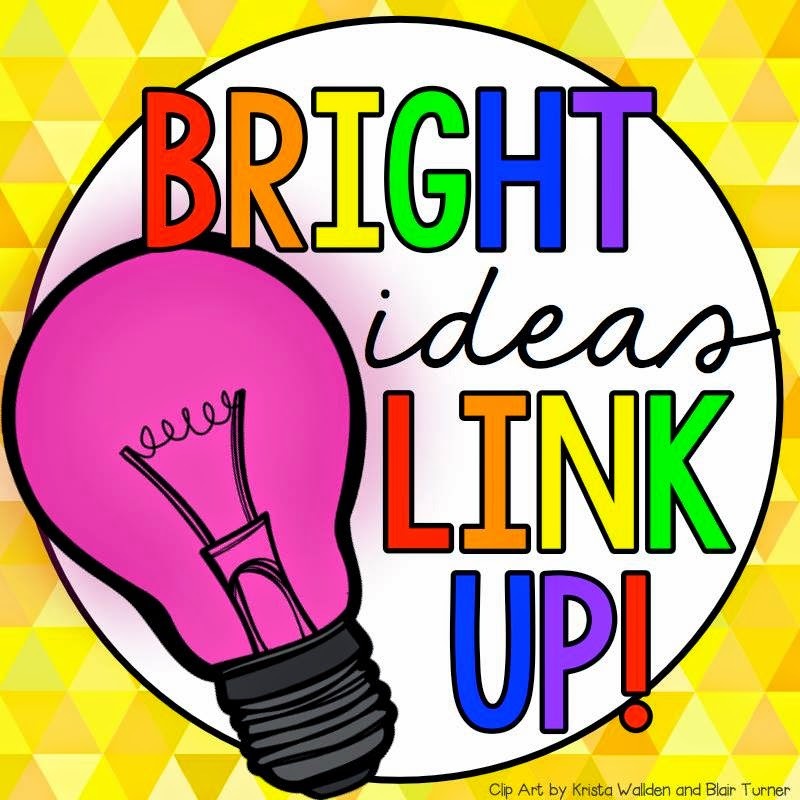 I’m back with for another round of BRIGHT ideas! 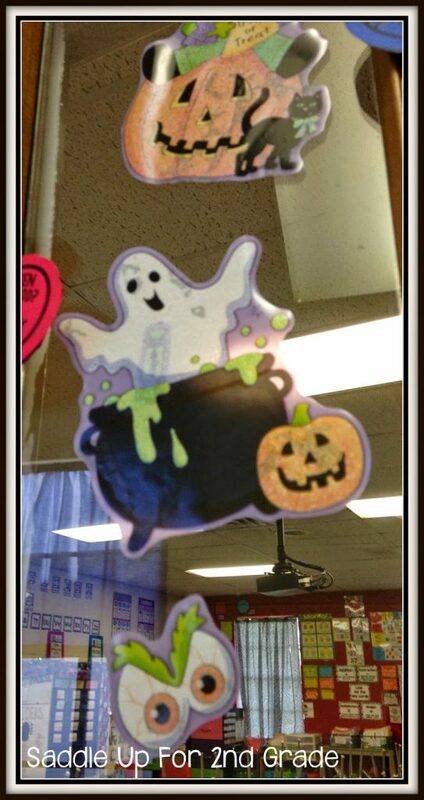 This months BRIGHT idea is all about window clings. I know what you may be thinking….I can buy these things at the dollar store but if you are like me and SAVE everything then each year, you buy these adorable window clings to spice up your windows for the holidays. Then you put them in a ziploc baggie and they get thrown into your holiday tub. I hope I’m not the only one who does this. I have a BRIGHT idea for these ya’ll! 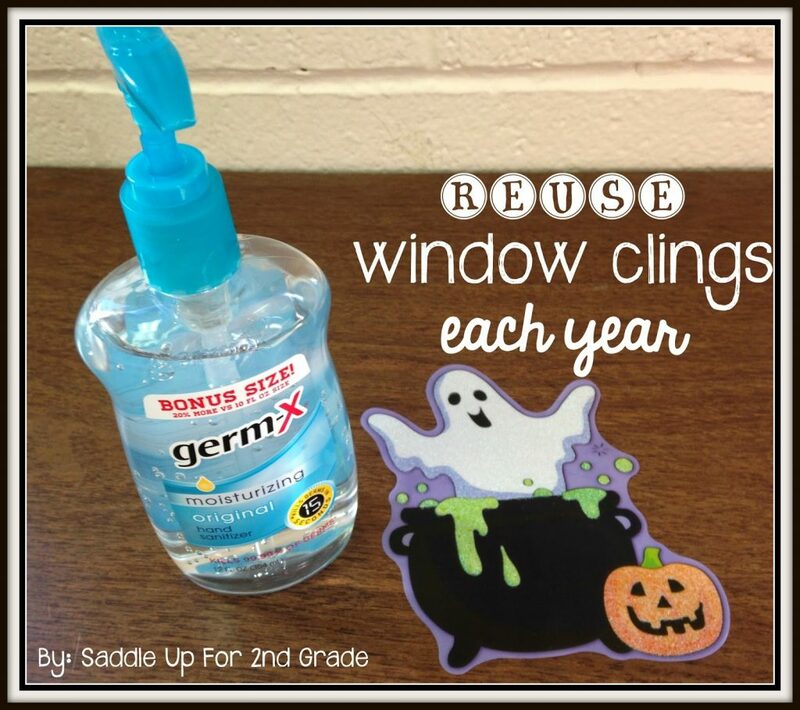 Did you know that you can add hand sanitizer to the back of window clings and they will last year after year? Some of you might be thinking DUH Marcy but this was revolutionary for me ya’ll! 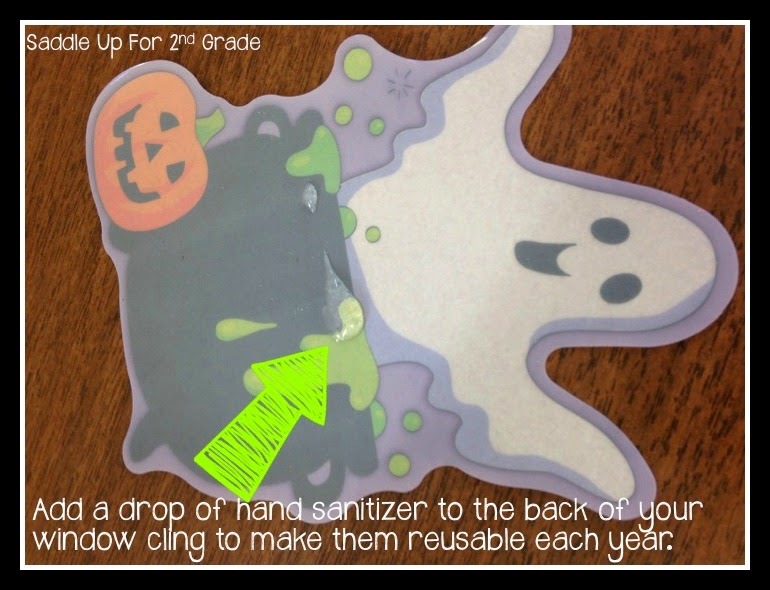 My first two years of teaching, I saved window clings only to get frustrated when they wouldn’t stick to my window a year later. 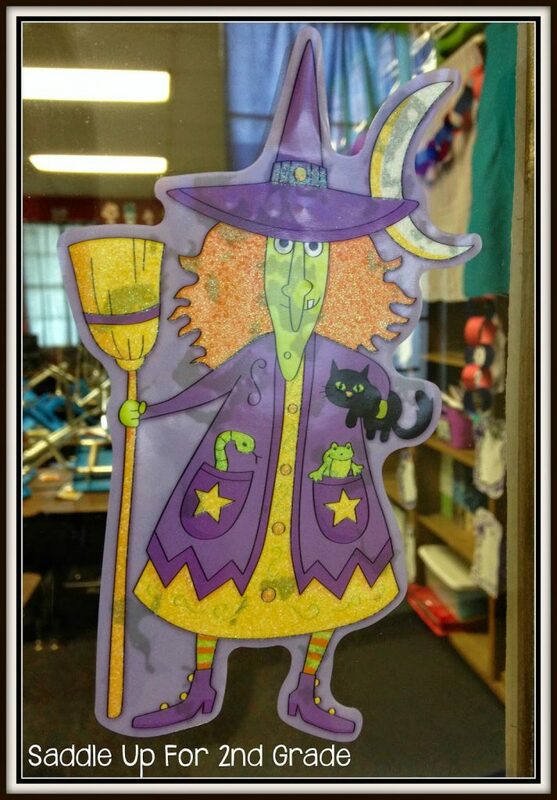 One year, I was decorating my door for Halloween and tried to stick some to my window only to have them fall to the ground. It was after school and I think a not so nice word came out of my mouth and I said something along the lines of “I don’t know why I save these”. My co-teacher at the time came out of her room and was laughing at me. She said, if you put hand sanitizer on the back of them, they will stick. 3 years later, they are perfect! If your window clings start to peel, bubble or fall off, just add a drop of hand sanitizer to the back and rub it onto the cling.